Good afternoon fellow alkaline water enthusiasts, I’m your host, Hercules. 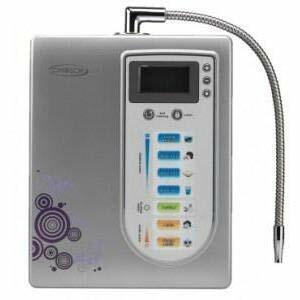 Today, I am sharing with you sortable tables of my top 10 best alkaline water ionizer machines. If this is your first visit to Alkaline Water Machine Source, you may be wondering why people drink alkaline water? The best way to find out why is to check out my list of the Top 25 Alkaline Water Benefits. If you already know about the alkaline water revolution, please proceed. Alkaline water has been going strong in Asia for quite some time now, and America is slowly catching onto the fact that alkaline ionized water has helped tons of people heal from serious chronic illnesses. Before I get too longwinded, let’s jump right into why you’re here in the first place. Every alkaline water machine included on my site is 100% legit. I drink alkaline water myself and legitimately find joy in helping people and their families become healthier. I’ve written every bit of information on this site and spent countless hours researching every product featured in this article. Be sure to take advantage of the table of contents below! Should you pair a reverse osmosis water system with your alkaline ionizer? Why is negative ORP so important? What does ORP stand for? Why do ionizers use platinum and titanium plates? What is the importance of the number of plates? How do alkaline water machines work? When to drink pH 9.0 water? Why is 9.5 pH water good for you? What is water above pH 9.5 used for? What’s the difference between alkaline water ionizers and alkaline water machines? How to make hydrogen water for drinking? Pre-Order Now! 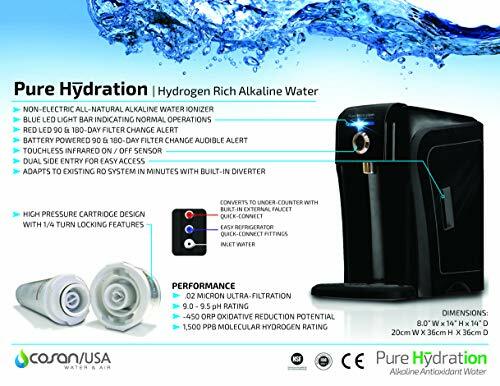 Pure Hydration the NEXT GENERATION, All-Natural Alkaline Antioxidant Water Ionizer. Superior Hydrogen Production, Non Electric with touchless IR sensor. The life of the filters in your new water ionizer is very important. The last thing we want to do is have to buy expensive filters every couple of months. That would kind of ruin the whole reason for owning an alkaline water machine in the first place. One of the greatest benefits of owning an ionizer is saving money in the long run while boosting your family’s health. The good news is most filters only need to be replaced once per year. Moving right along. 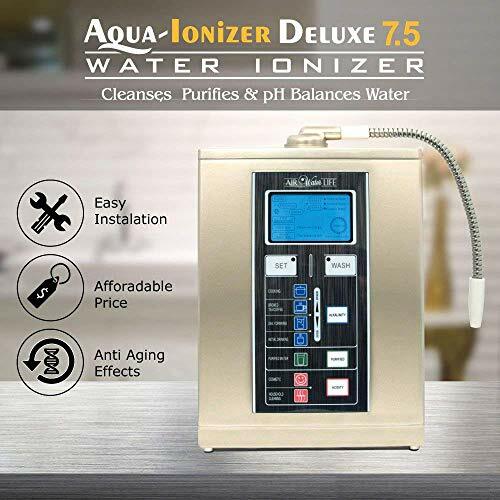 Now I will share with you alkaline ionizer buying guide. If you are serious about buying the best ionizer for your home that will suit your needs, please check out all of the information below. 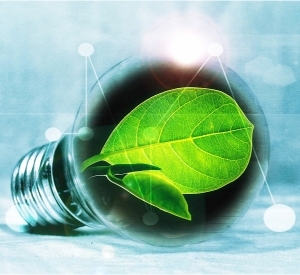 I also explain exactly what ionization is, why ORP value is important, my top picks, and other important considerations you should make before purchasing your new ionizer. I concluded through my research that ionizers using a single filter may need extra filtration to get the best quality water. If you have hard water in your home, then you may want to consider purchasing a 3-stage prefiltration system to filter your water before it enters your ionizer. If you install a three-stage system, you will prolong the life of the filter inside your ionizer and avoid any mineral buildup on the platinum-coated titanium plates. In my opinion, the Chanson Violet uses the best single filter. Silver does a great job of killing harmful bacteria, which makes the silver-impregnated carbon in the Chanson filter a really cool feature. Chanson also uses food-grade activated carbon that is more absorbent and has more surface area. The Air Water Life Aqua Deluxe units all use the same single activated carbon filter. Their filter is cheaper than the rest, but like I said, you may want to consider a pre-filtration option. If you already have a whole house water filter or existing water filter in your home, you should be good to go. The Cosan/USA obviously has the most expensive filters, but it does an amazing job with its 4-stage system. If you want to see how cutting-edge the Cosan Life Water truly is, click here for my full review. Another pro with the Cosan is that you do not need to pre-filter the water. The four filters take care of all your needs in one shot. The Tyent UCE-11 filters all the way down to .01 micron, which is the same rating used in kidney dialysis machines. It’s important to remember that reverse osmosis strips all of the minerals out of your water. In order for you to get the most alkaline water benefits, you want your water to have some minerals in it before it enters the ionizer. 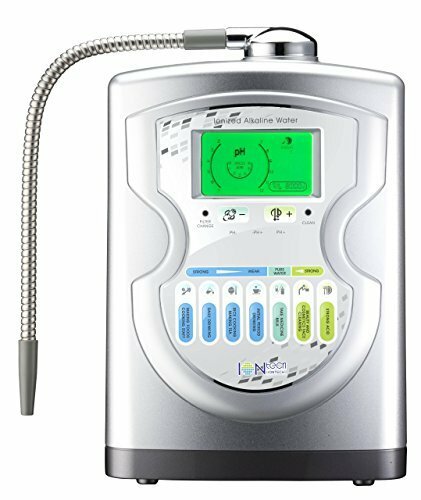 TIP: The plates in your alkaline water machine can’t conduct a current in your water if it has a TDS (total dissolved solids) reading of zero. 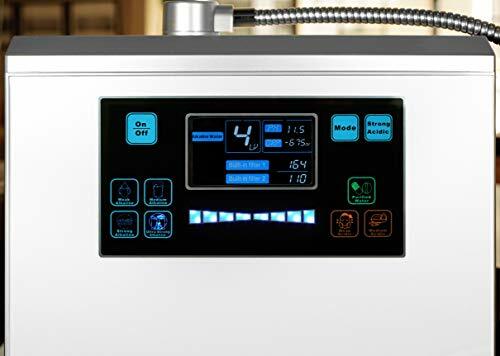 It is best to avoid using reverses osmosis or distilled water in your ionizer. If you already have a reverse osmosis system installed in your home, you may want to look into a way to add minerals back into your water before it gets ionized. The best way to achieve this is through the use of a re-mineralization device that’s connected to your reverse osmosis system’s water line. Click here to check out a reliable reverse osmosis re-mineralization system. People who have well water have reported that their water works fine with most ionizers. All the alkaline water brands included on my site are trusted brands with hundreds of thousands of happy customers. There are several other brands of ionizers I came across during my research with bad reviews. You will not find any of those ionizers here. Air Water Life is one of the most trusted brands you can buy from, and their customer support has glowing reviews. 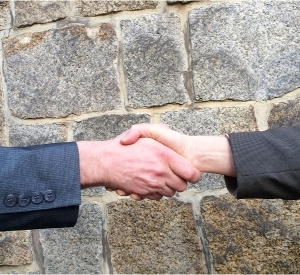 When buying an ionizer, it’s of the utmost importance to do business with transparent companies. I had the chance to visit a Chanson store while I was living in Taiwan, and I can say without a doubt that they are a legit company. They may not offer the same lifetime warranty, but the technology they use to design their ionizer plates is state of the art. Cosan/USA stands behind their Pure Hydration machine and offers a 15-Day money back guarantee, which means you can essentially try before you buy. The Tyent ionizer also comes with a no questions asked lifetime warranty. 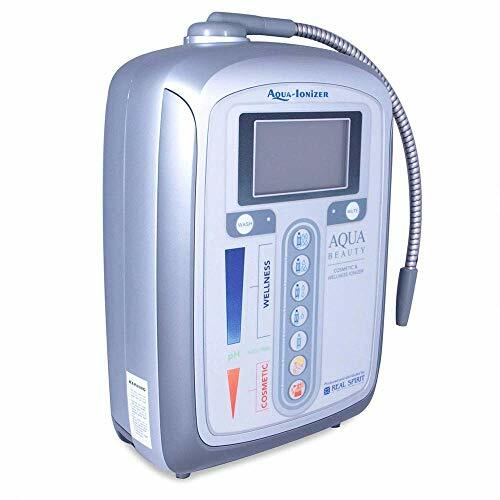 I think all the units included in my top 10 best alkaline water ionizer machines list will last you for the long haul. It’s up to you whether you want the lifetime warranty as an added bonus. TIP: Even without the lifetime warranty, the company may help you after the warranty expires if the problem is due to a product defect. There isn’t one alkaline water brand mentioned here that doesn’t have great customer service. They are always there to help you. If you are new to alkaline water or perhaps even aware of the benefits of drinking alkaline water, you may be wondering what ORP is? If you look at the tables above, you will notice that the more expensive ionizers create higher negative ORP values. Leading researchers in Asia believe that ORP is even more important than pH. Yes, drinking alkaline water helps us reduce harmful acidity in the body, but ORP is what produces most of the alkaline water benefits. ORP is a measure of the antioxidant potential of the water. The higher the negative ORP, the more antioxidants you get in every glass of water you drink. Antioxidants are what we want to get anti-aging benefits. Think of it this way. You know how an apple turns brown in if it sits in open air after it’s been cut? Or how metal rusts? This is oxidation. Antioxidants protect our bodies from oxidation. ORP stands for “Oxidation Reduction Potential.” Alkaline water machines use electricity in the titanium plates to create water with a higher negative ORP. The ORP makes the water easier for our bodies to absorb, which leads to better and quicker hydration. As we all know, dehydration can lead to all sorts of different health problems. The lower the negative ORP the more antioxidants. The ORP is what also boosts oxygen levels in our body. Picture the ORP as the level of potential health benefits in your water. When the negative ORP is higher, there is more energy stored in your water. For this reason, most alkaline water drinkers report a boost in energy. When you drink only alkaline ionized water throughout the day, you get an around the clock energy boost. When water has a positive ORP, it has an oxidizing effect on the body. Tap water usually has an ORP value of +200 to +600. This means that the water provided to you from the tap can accelerate aging and oxidation in your body. By drinking alkaline ionized water, you protect your body from oxidative damage. Antioxidants go to work in your body to seek out harmful free radicals and stop them from harming you. This is where the immunity boost of drinking ionized water comes into play. If you’re like me and you like to test things to make sure they are working correctly, you can use an ORP meter to test your water. 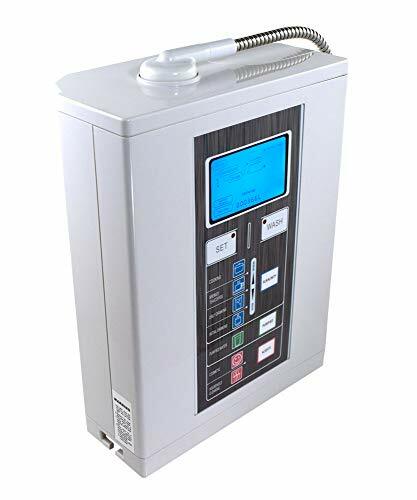 You can even go a step further by using a TDS (Total Dissolved Solids) meter to make sure the ionizer is raising the TDS. A handful of the ionizers on my top 10 list come with free pH test kits. Once you test the ORP, pH, and TDS, you can be sure that the ionizer is living up to your expectations. Always remember to test the water from your tap first so you can compare results with the water coming out of your ionizer. When you purchase an alkaline water machine, you shouldn’t pay much attention to flow rate. As long as you have enough water pressure to get a steady stream from your ionizer, that’s good enough. The reason is that the longer the water is in contact with the titanium plates in your ionizer, the better. 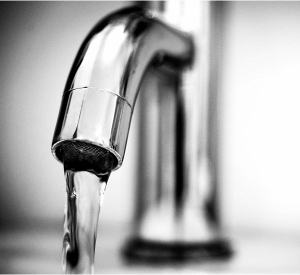 Owners of alkaline water machines sometimes don’t open the water tap all the way to reduce the flow rate. This way, the water is in contact with the plates for a longer period. The plates are where the real magic happens. That’s why the most expensive units usually have the most plates. As I mentioned before, the Chanson plate technology is some of the best on the market. The Chanson Violet may have fewer plates, but Chanson’s special technology increases the surface area of the plates. The reason all premium alkaline water ionizers use platinum and titanium is they are the metals that are most resistant to corrosion and oxidation. If you think about it, the plates are constantly in contact with water of different pH levels, so they must be extremely strong. The platinum and titanium are the reason alkaline water brands can offer lifetime warranties. These metals are made to last a lifetime and beyond. All the ionizers in my top 10 list use titanium plates dipped in platinum. In my opinion, the Tyent and Chanson plates are the highest quality. The key to getting an ionized water with a higher negative ORP is through the surface area of the plates. More plates = more surface area. Since the water is only in contact with the plates for a short period, it’s essential to make the most of that time. The metal plates create a current in the water. When you drink the water from your ionizer, you are drinking water that is safely charged with energy. In nature, there is a natural source of incredibly healthy antioxidant water – glacial water. We are essentially recreating glacial water in our homes with alkaline water machines. When your water enters your ionizer, it firsts gets filtered to remove any impurities. Then it enters the chamber with the plates to undergo electrolysis. Electrolysis safely produces the healthy water we are looking for by separating out the part of the water that can cause oxidative damage. 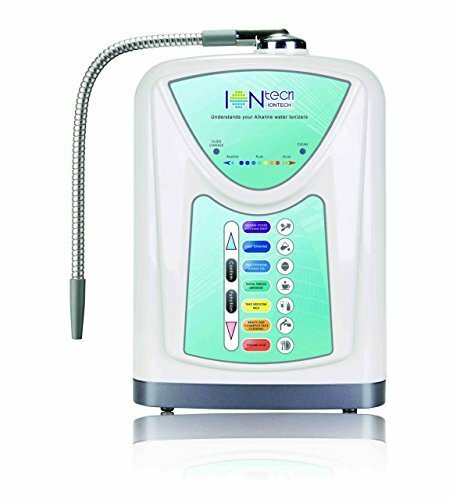 The water that comes out of our ionizers is full of healthy energy. What’s the point of acidic water if we want alkaline water? Well, acidic water has many uses as well, just be sure not to drink it. Water in the low acidic range of pH 2.5 – 4 can be used for household cleaning and sterilization. Low pH water has powerful natural antibacterial properties. You can save money by using acidic water to clean your home. Water in the pH 5.5 range is good for cosmetic use, moisturizing, and watering several varieties of houseplants. I’ve seen many reports written by people who experienced relief from acne. One woman’s husband used acidic water to clear a case of adult acne that had been bothering him for decades. Another woman’s husband who is diabetic saved his infected toe by soaking it in acidic water. Doctors wanted to amputate it! When you purchase your new alkaline water machine, you will surely be excited to boost your family’s health starting on day one. However, there is an important rule to follow. When you first begin drinking alkaline water be sure to start slowly. The last thing you want to do is shock your body by drinking water with too high of a pH. Keep in mind that the water you’ve consumed for most if not all of your life has a slightly acidic pH. What is the best pH level for drinking water? This is the question many people ask when they first begin using their machine. The best pH for first-time alkaline water drinkers is 8.5. You will begin to notice an improvement in your health by drinking water with a pH of 8.5. Your body will also receive the vital alkaline minerals it needs while getting a large dose of antioxidant benefits. Another important consideration for all the parents out there is the health of your children. Chanson recommends a water pH of 8.5 for children. Once your body has adjusted to drinking alkaline water, you can move up to pH 9.0 water. Water with a pH of 9.0 is also great to drink after working out to reduce soreness in the muscles. After a hard workout, lactic acid can build up in the muscles. Water with a pH of 9.0 can reduce the negative effects of the lactic acid in the muscles. Aside from drinking 9.0 water, you can also cook with it. There is a lot of talk about the health benefits of pH 9.5 water. It’s actually the most talked about pH level among health enthusiasts. Well, once your body has adjusted to alkaline 9.0 water, you’ve already done some deep cleansing in your body. Eventually, you’ll be ready to take the next to step to pH 9.5 water. When you begin drinking pH 9.5 water, you will be getting a ton of antioxidants which leads to cell rejuvenation. Water with a pH of 9.5 helps people heal from chronic illnesses. If you suffer from chronic fatigue or tiredness, you will get a major energy boost at pH 9.5. Water with a pH of 11 or higher is good for cleaning dishes, stain removal, and washing fruits or vegetables. I’ve read reports written by people who stopped buying organic produce and began cleaning their fruits with alkaline water to remove any harmful pesticide residues. The answer to this question is there is no difference. When you see these terms, you are reading the same thing. New research has proven that molecular hydrogen acts as a powerful antioxidant inside our bodies. For this reason, cutting-edge alkaline water machines are beginning to feature new ways to boost molecular hydrogen in alkaline water. The two ionizers on this list that add molecular hydrogen to your water are the Cosan Life Water machine and the Tyent UCE-11. The Cosan/USA Pure Hydration machine does not use electricity. Instead, it adds molecular hydrogen to your water through its natural filters. Over 120,000 people have already bought the Cosan Life Water ionizer because they are getting alkaline molecular hydrogen-rich water at a fraction of the cost. The Cosan unit is currently being sold for under $500. The Tyent UCE-11 is selling for thousands more, but it also comes with a ton more features. To boost the molecular hydrogen using your Tyent UCE-11 Turbo ionizer, simply choose the “Hydrogen Boost” function. Click here for a great article on the benefits of drinking molecular hydrogen-rich water. There is science there to back up each benefit. The best way to make hydrogen water in your home is with a premium alkaline water machine. Tyent and Cosan have already done the hard work to ensure that you are getting the most therapeutic amount of molecular hydrogen in your water. The best overall alkaline water machine I reviewed is the Tyent UCE-11. If you can fit the Tyent under your sink, you are buying a world-class ionizer that will last you a lifetime. 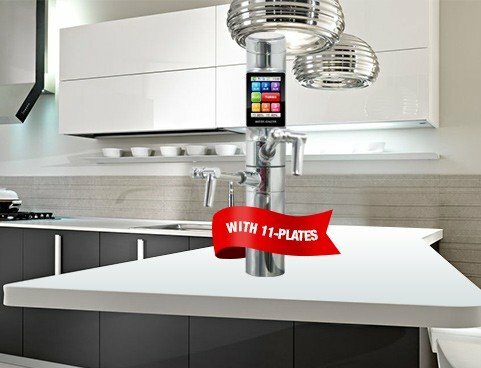 The Tyent UCE-11 features a beautiful smartphone-inspired LCD panel at the faucet that has a ton of options. You get the most options for your water. This means you can really dial in your water exactly where you want it to be. It comes with 11 plates and can produce water with the most antioxidants on the list. There’s no need to use counter space. The hydrogen boost function. Tyent is the only alkaline water machine on the list that provides alkaline ionized water with boosted molecular hydrogen. After the Tyent, I would choose the Chanson Violet machine. Chanson is a lesser-known company in America, but I had the chance to see their ionizers in person in Taiwan. The technology used by Chanson in its electrolysis plates is superior. I also love the design of Chanson water ionizers. Aside from the design and plates, Chanson uses a silver-impregnated activated carbon filter. I haven’t seen any other ionizer that uses that type of technology. My budget pick is the Aqua Deluxe 5.0 by Air Water Life. The Aqua Deluxe 5.0 has all the features you need at a lower price point. All of Air Water Life’s products are great, but I like the Aqua Deluxe 5.0 as my top bargain pick. 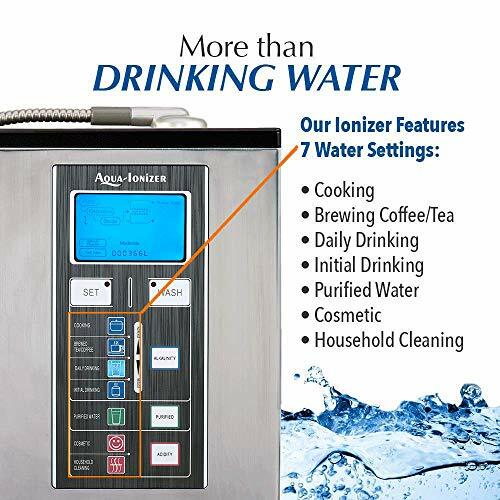 You can’t go wrong with any of the ionizers included in my list of top 10 best alkaline water ionizer machines. Like I said, I spent countless hours putting together my reviews to be sure that I provided you with the most accurate and up to date information. Now it’s up to you to choose which is best for you and your family’s health. Which ionizer will you choose? Which one do you think is the best?